It's been a busy week! 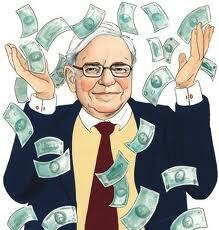 I'm really glad that I planned my annual trip to see Warren Buffett with mystery shopping in mind. Sure, I'm on the road a bit more, but that means the long drive each way is spread out over three days of driving AND I am paying the costs of this trip by mystery shopping. I'm having a blast and hate that the remainder of the trip is the ride home. Driving home is never as fun as heading there to begin with. I do have 6 shops to do tomorrow on my way to Kansas City. I will definitely have to come out of pocket some time Monday for gas, but with a tank that's nearly full now I expect that it won't be too expensive. Hopefully on Monday morning I will be meeting a fellow frugal miser, Andy from Tight Fisted Miser. We are planning to meet for breakfast if we can work out the logistics. Looking forward to meeting you Monday morning. I do have a lunch shop planned for Monday but that will be all for my trip. You are a lot better at planning the mystery shopping than me.